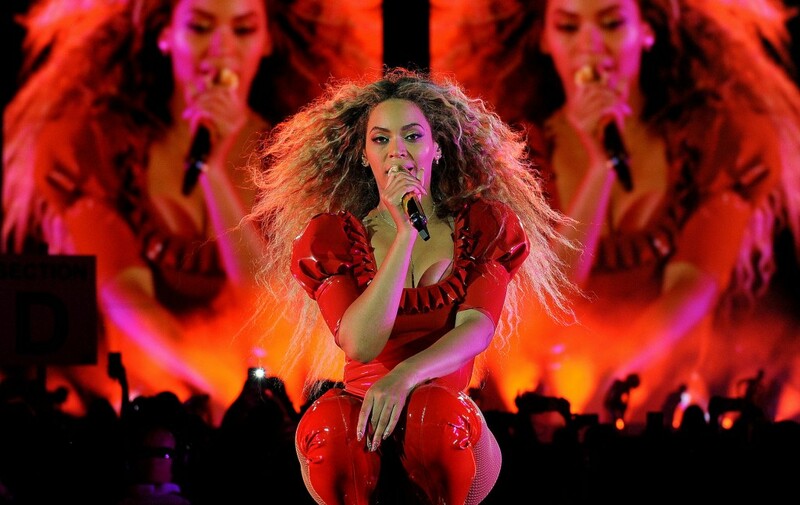 Beyonce, JK Rowling, and Kylie Jenner all made it into the list of the top 100 highest earning celebrities – but they’re three of only 16 women on the list. In the top ten, musicians are pretty well represented: there are five. Authors do pretty well: there are two. Athletes: also two. Women, that group which makes up pretty much 50% of the population: also two. The list was published by Forbes, a magazine which pretty much only exists to write about rich people (that’s not strictly true, but it def seems like it). According to Forbes’s associate editor, the underrepresentation of women in the rich list is because of an underrepresentation of women in all industries. There are less women in music, film, top-level sport and literature – so it follows that there’ll be less super-successful ones. But it feels like that ignores a really important point. Sure, women are underrepresented in these industries – in the UK charts this week there are just two women in the top ten. But just like in pretty much ever other industry, the ones that do make it to the top are also likely to be earning less than their male counterparts. gender pay gap What's this? for celebrities is a whole lot more complicated than being paid less for doing the same job – it’s got a lot to do with the opportunities people are given. Let’s take music, for example. A few years ago, there was a big campaign to highlight just how few women were making it onto the line-ups of major festivals. In 2015, one of the executives from the company that puts on Reading and Leeds festivals responded and said – quite literally – he was just trying to sell tickets. The big name male acts he was booking year after year after year just sold more tickets than if there were women on the bill. See, the question here is about who's responsibility this inequality is. The festival booker might not think it's his fault that women just aren't as popular as men. But if women aren’t being booked for these jobs, they're not being given the chance to get the exposure they need, and to get more popular. It’s a vicious cycle – by just saying “women sell less tickets” festivals like Reading and Leeds aren't giving them the opportunity to sell more. When you're trying to make sure women get the opportunities to get to the top, these obstacles matter. The same thing happens in sports. In 2016, Serena Williams (the women’s world number one) earned half what Novak Djokovic (the men’s world number one) earned. She is equally, if not more, famous as Djokovic (hello Serena), and just as successful – both won three of the four grand slams (the big tennis competitions) that year. But away from the major competitions – which since 2007 have given women equal prize money – the women's game is a whole lot less lucrative for the players. And again, there's the whole vicious cycle thing. If the women's game is less lucrative, it gets less funding, and it's harder for female players (particularly those in underfunded sports, or further down the rankings) to advance. And finally, Hollywood. In 2015, Jennifer Lawrence wrote an open letter joining a growing number of women highlighting unequal pay for female actresses. She shared equal billing with Bradley Cooper and Christopher Bale, but when a hack into private Sony emails released a whole load of data to the public, found out she earned significantly less than them. When JLaw went public, Kate Winslet (along with a load of other people) came out to criticize her. She said she felt uncomfortable talking about money, and that the conversations were “vulgar”. She also said she felt “lucky” to be in the position she’s in. Winslet’s point highlights something kind of important – is it okay to complain when you’re earning $52m in a year (as JLaw did in the year up to June 2015)? The problem is, if you don’t complain you teach everyone that it’s okay not to complain. While it might be frustrating that it takes people like Jennifer Lawrence to get the message about pay inequality across, whether it’s movie stars or people working in public libraries it’s still something we need to talk about. A woman earns on average 80 cents for every dollar a man makes in the United States. Earning an unfair wage makes it almost impossible for some women to lead comfortable lives, support their families, and achieve what they’re capable of. So yeah, it's difficult to feel sorry for Beyonce for not having more female company in the billionaires club, but until we start challenging the reasons why there’s inequality at the top it’s gonna be pretty damn hard to make sure it’s also fair for everyone else.